“I am Bane” opens with Strange and Walker making the final preparations to turn Dorrance into the iconic “Knightfall” villain, with Walker telling Dorrance how he will be the bane of everyone’s existence. (Insert Family Guy ostrich gif here). After the title card, we rejoin the GCPD, where Harvey tells Gordon that general Wade is on the way, and after a few speeches and backpacking, head to meet the general. “I am Bane” then cuts to the submarine, where Penguin and Riddler are getting ready to leave when Barbara starts arguing with them, only for her water to break, something that feels a bit soon. After a brief scene where Selena and Alfred discuss the latter’s future, Barbara heads to the clinic and Lee radios Jim to fill him in. Unfortunately, our hero won’t be able to make it just yet because, after receiving the all-clear to begin reunification, Bane attacks and kidnaps Gordon, Bruce, and the General, leaving Harvey, Selena, and Alfred to try to figure out where Gordon has been taken. Meanwhile, Gordon and Bane talk in a scene that feels a bit like the opening voiceover Stephen Amell gives on Arrow. The scene picks up pretty quickly, as the one we all thought was Walker brings Bruce out and tells Gordon that this is about the sins of Bruce Wayne, then proceeds to have Gordon beaten until Bruce figures out what name she is talking about. On the submarine, Penguin says goodbye to Gotham, only to discover Barbara has somehow taken the engine. “I am Bane” then rejoins the mother-to-be, who is trying to get through the birth quickly, something Lee reminds her isn’t possible. Elsewhere, Bruce who finally figures out the name – Ra’s Al Ghul – and why it’s so important to Walker, or, as we’ll soon find out, Nyssa Al Ghul. Nyssa tells Bruce that her father’s mission continues and sends Bane after Barbara. Gordon tells Bane that Barbara is pregnant and that if Bane hurts her, he’ll destroy everything they have. I found this a bit out of character for Gordon, but given the high-pressure situation and his baby on the way, I’ll give it a pass. Speaking of the baby, Barbara’s contractions have intensified over at the clinic, something that Penguin and Nygma don’t care a lot about, as they only want their pressurized valve back. Unfortunately, Barbara doesn’t have it on her. 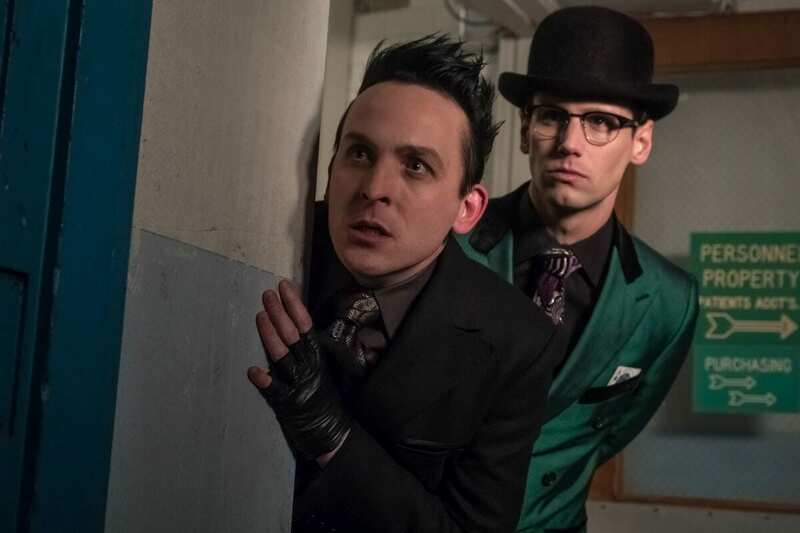 While at first blush this scene makes Penguin and Nygma out to be a little more nuts than usual, I really enjoyed their zany antics in “I am Bane;” they serve as a great respite from the darker elements that are about to come back into play as bane enters the clinic. Nyssa informs Bruce of Special Order 386, where, in the event that Gotham is not salvageable, a contingency plan is in place to essentially demolish the city, and she’s going to use it to make Bruce suffer. Lee and Co. are making their way to safety, and Nygma volunteers himself and Penguin to provide a distraction, something that doesn’t work out too well. While Strange attempts to turn Gordon into another Bane, Bruce tries to use a nearby candle to burn off the ropes. We then rejoin Nygma and Penguin, who figure out where the valve is and head towards the submarine. “I am Bane” returns to Barbara and Lee, where we get a payoff to the last episode’s final scene. Lee assures her she can raise the baby in Gotham and that Gordon won’t take the baby away. After briefly rejoining Bruce, who contacted Alfred to help the baby and Barbara, Gordon frees himself and the General (before briefly checking the back of his neck for the same chip Nygma had) while Selena and Alfred fight Bane only for the latter to have his back broken. Yes, this is an interesting twist on “Knightfall,” but I can’t help but feel Pertwee has been underutilized this season. Hopefully, the producers of whatever his next show is will do better by him. As Nyssa confronts Lee, Barbara and the newborn (Welcome Batgirl! ), Bruce, Gordon, and Harvey celebrate their apparent victory, only for the General to announce that Order 386 is a go, much to Bruce’s chagrin. Our three heroes are arrested, but they manage to get away and quickly figure out that Strange must have put the chip in the General somewhere else – something I have difficulty buying, but hopefully it’ll become clearer in the next episode. Before they can make their next move, the bombs begin to fall on Gotham. Writers James Stoteraux and Chad Fiveash did an OK job with “I am Bane.” While I loved the Penguin and Nygma scenes, I felt as though they were trying too hard to copy The Dark Knight Rises. That being said, it was cool to see Jamie Murray playing Nyssa in the character’s second appearance on television this week. I just wish she would’ve come to the forefront sooner. Director Kenneth Fink got the ambiance just right for Strange’s laboratory. I’m looking forward to what he will do next. “I am Bane” was a decent episode that could have been far better. Despite great performances from Cory Michael Smith, Robin Lord Taylor, and Jamie Murray, it appears the show is a little too occupied with doing their own take on The Dark Knight Rises instead of trying to be their own thing, and they even fall short with the former, with Bane becoming little more than a one-man wrecking crew. 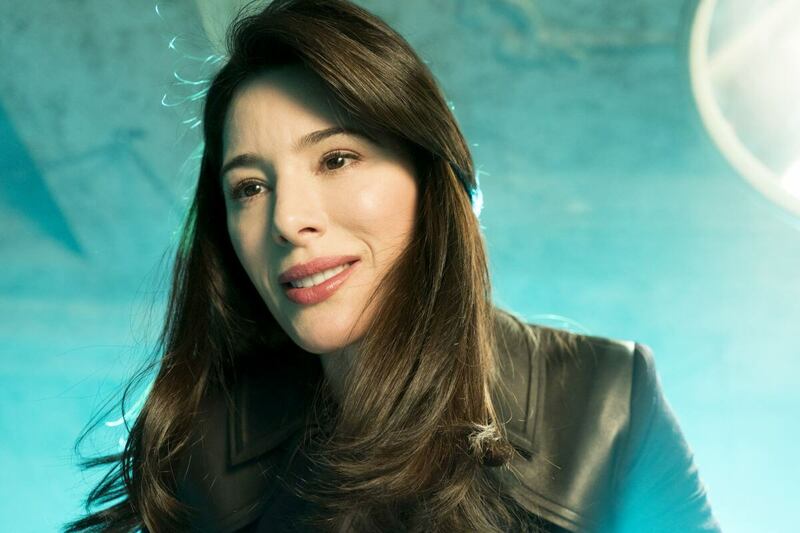 There are moments that really work here, but at this point in the season, they need to focus more on the legacy of their show and a lot less on Nolan’s. Gotham - "I am Bane"
"I am Bane" was a decent episode that could have been far better. Despite great performances from Cory Michael Smith, Robin Lord Taylor, and Jamie Murray, it appears the show is a little too occupied with doing their own take on The Dark Knight Rises instead of trying to be their own thing, and they even fall short with the former, with Bane becoming little more than a one-man wrecking crew. There are moments that really work here, but at this point in the season, they need to focus more on the legacy of their show and a lot less on Nolan’s.